WhatsApp's latest voice calling feature that had been under testing is finally available. 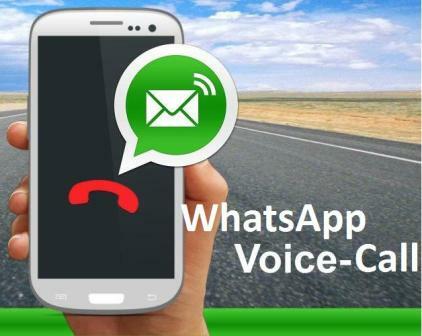 The WhatsApp voice calling feature is enabled in the latest version of the WhatsApp Messenger that is now available for download for Android devices on Google Play (version 2.11.561). However, the feature doesn't come right away to the users. Those who want to have the voice calling feature will need an invite, in the form of a WhatsApp call from any other WhatsApp user who has the feature activated on his/her app. 1. Go to Google Play and download/update the free WhatsApp Messenger app. 2. Ask any other WhatsApp user you know with the voice calling feature activated to call you via WhatsApp. Post the call, a user can find the WhatsApp voice calling feature activated on their phones and a new 'Calls' tab to the left of the Chats and Contacts tab on the WhatsApp home screen. While there have been unofficial APKs floating around promising the feature, but it is advisable that users install the app from Google Play or the official WhatsApp website. How to activate WhatsApp calling ! !,How to activate, WhatsApp calling ! !